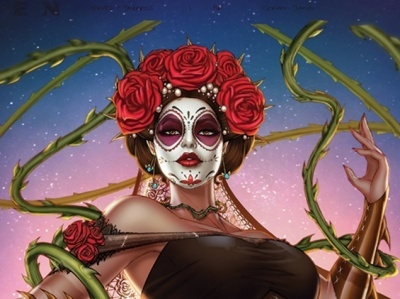 At the GAMA Trade Show, ICv2 spoke with Greenbrier Games to learn about upcoming releases. 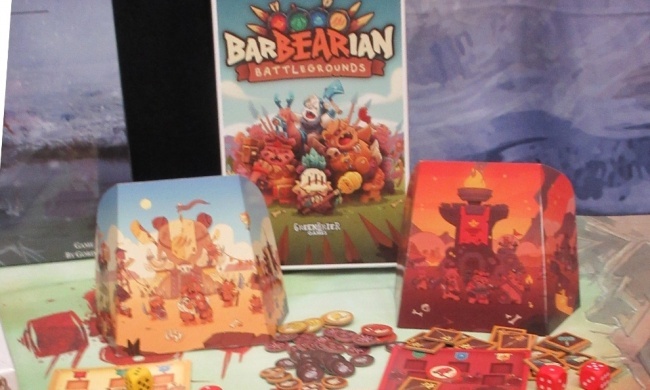 BarBEARian: Battlegrounds is a worker placement, simultaneous secret action game for up to four players. It is also Greenbrier’s first inhouse game to not premiere on Kickstarter. Players take the roles of adorable (but scary!) bear-warrior clans attempting to build the best neighbearhood in the woods. 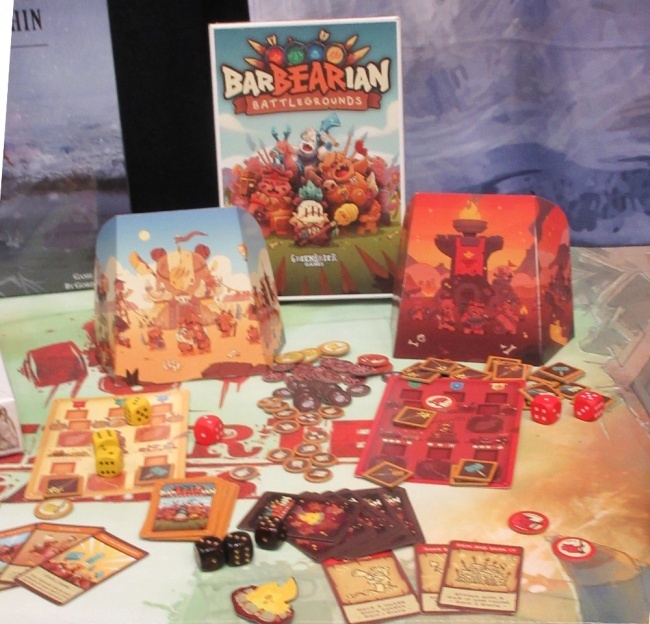 Players gather resources, pillage neighbears’ villages, and claim turf to become better than the bears of bedtime stories! There are many paths to victory, but it will take both luck and skill to be the beary best clan in this family game that includes a lot of bear puns. The game is for 2 – 4 players, ages 8 and up, and plays in 20 minutes. MSRP is $24.95. Release is planned for July. 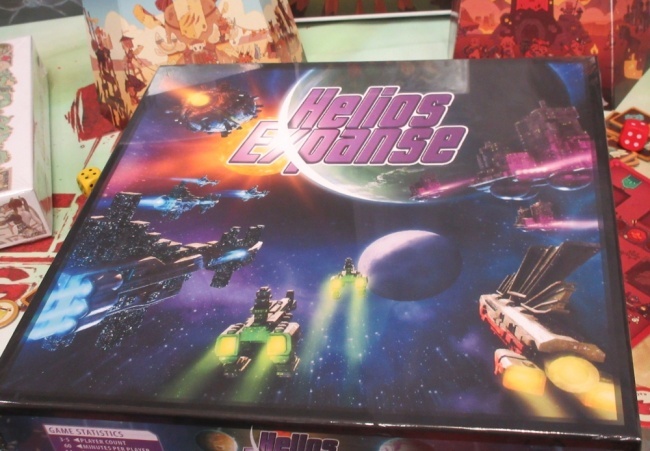 Helios Expanse is an action programming 4X game where galactic civilizations compete for supremacy of the universe. Players take the role of rival factions of humanity, intent to colonize the most planets, research technologies, and eventually build a military to wage war on hated rivals. 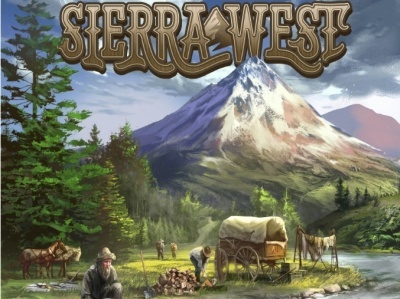 The game is for 3 – 5 players, ages 14 and up, and plays in 60 minutes. MSRP is tentatively set at $49.95, with trade release planned for Q1 2019, after an abbreviated Kickstarter in April. Mr. Rhee Surviving the Nightmare World is an asymmetrical card game based on the work of independent horror comic master Dirk Manning from Devil’s Due Publishing. One player takes the role of hero and many of the villains, while everyone else takes a villain role and tries to recruit minions to take control of locations in Nightmare World to either thwart innocents or meet specific personal victory conditions. Meanwhile, Mr. Rhee uses Hope to gather Fight, Charisma, and Magic to hold out for six rounds. 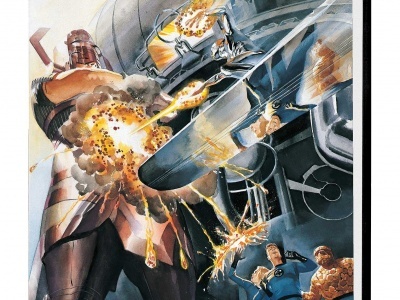 Similar to the twisted humor of the series, Rhee can also manipulate villains to fight amongst themselves. 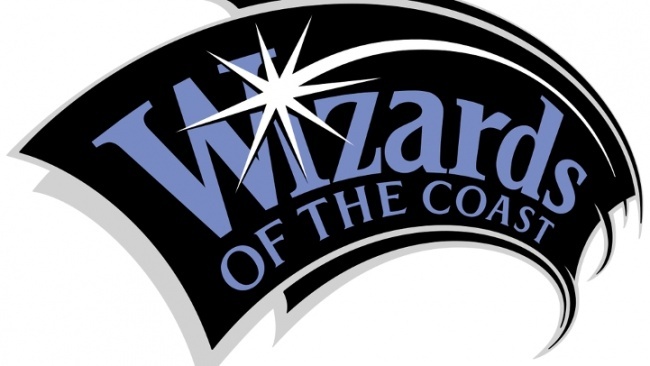 The game is for 3 – 6 players, ages 14 and up, and plays in 30 minutes. The game will launch on Kickstarter at the end of May, with trade release to follow in 2019. See multiple preview images in the gallery below!